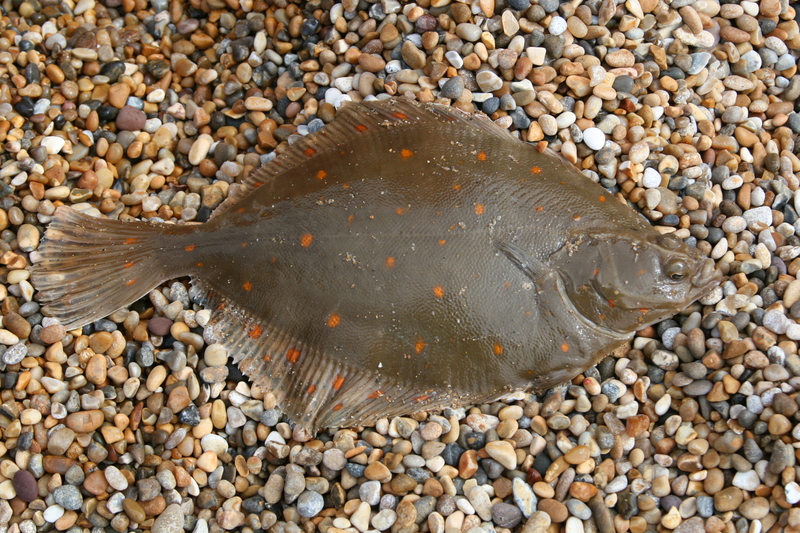 I mentioned yesterday that I had heard rumours of Plaice being caught on Chesil. Well I finally got two confirmed reports that the first of the Plaice are returning from Spawning. The fish are as you would expect in poor condition, and looking rather thin. The first of the fish have turned up at West Bexington and were caught on Ragworm. I don’t expect the main return of fish for at least another 3 weeks, but I always find it an exciting turning point when the Plaice arrive. It means that the beach fishing will start to pick up again. Chesil Beach: Fairly calm with a steady 1.5m swell. The water is coloured from the fresh water run off from the hills behind West Bexington. Portland: Waves up to 1.5m and clearer water. Weymouth Bay: Some small surf waves and the water has a bit of colour especially around the harbour entrance. Chesil Beach forecast: Plenty of Dogfish around during the day and night. It is a bit early to rush down and start fishing for spring Plaice as they are going to be pretty thin and not really worth catching for a few weeks, but for those that want to then your best marks are going to be West Bexington and Cogden. There you will also pick up Dabs and Rays. Not too much happening from the Ferrybridge end of the beach. It is mostly Rockling and Pout, with some Dogfish. Portland: Wrasse, Rockling, Pollock and Bull Huss are your main target species from the island today. I fished Portland at the weekend with limited success. Portland Harbour: Another area that has gone very quite. All you can really hope to catch from here are Flounder at the moment. Weymouth Bay: Even the piers have gone quite. It will be interesting to find out what the Weymouth Angling Society juniors catch on the Stone Pier this evening. Preston is still producing Whiting and you always have the chance of a Bass when there is some surf running. Boat and Kayak: The Weymouth charter fleet were out at the weekend and several of them headed of to the mid channel wrecks. There were some very good catches of large Pollock reported. It wont be long until the Plaice start showing on the Shambles. Species Hunt: I think I will create an album to show the different species that I catch this year and see how many different ones I can catch. I know that species hunting is very popular on a number of forums. Why not join me and see what different fish you can catch over the year. I am going to set myself a target of 30 different species. Drop me an email and let me know your targets and how you get on throughout the year. I especially want to see your pictures of some of the more unusual species that you catch.